Almost a fortnight from the moment when 58 people were gunned down at a country-music festival, officialdom has so bungled the case that almost every single one of the most basic facts about the act are up for grabs. I don't know quite what's involved in "working" a crime scene but one would assume it includes at minimum securing the crime scene. Yet apparently not. Last weekend, Paddock's home in Reno was burgled. Just consider that for a moment: On Sunday night someone pulls off the worst single-shooter massacre in American history – and yet it's insufficient of a priority to the multiple federal, state and local agencies investigating it to prevent the supposed perpetrator's property being broken into under their noses. It is not really solitary, that's just a trick of the camera angle. 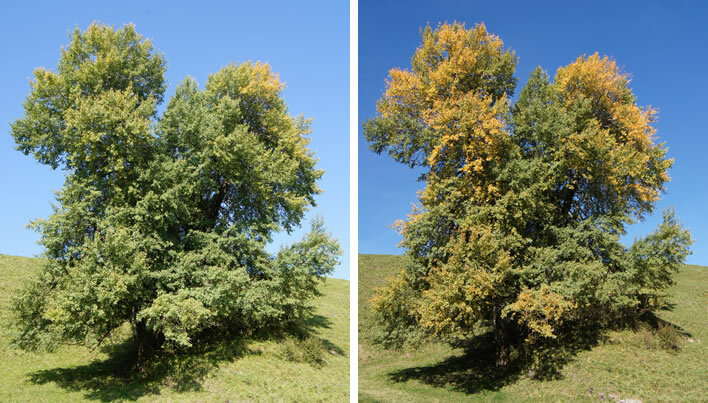 What we see is a 'stand' of several trees that is characteristic of aspen varieties. Aspen seed rarely, but spread by root suckers from their extensive root systems – we are not really seeing 'several trees', but rather 'sprouts' from a single extensive root colony. Aspen are adapted to mountain life. This cluster is at a height of about 1,050 metres on an exposed slope facing east. 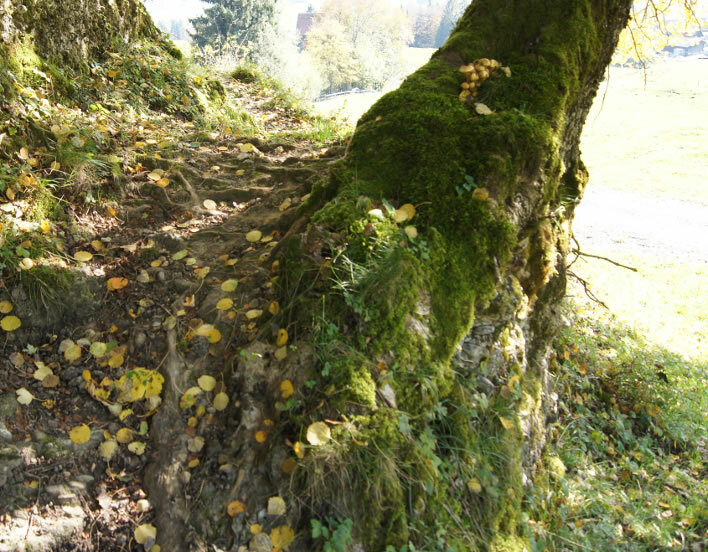 The extended root system offers firm anchorage for exposed locations such as this. 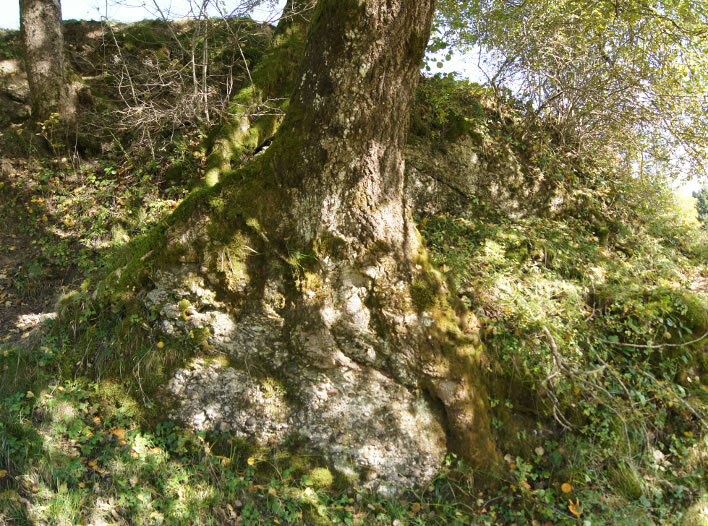 In this case the roots have wrapped themselves around the rock so tightly that the two can barely be distinguished from one another. 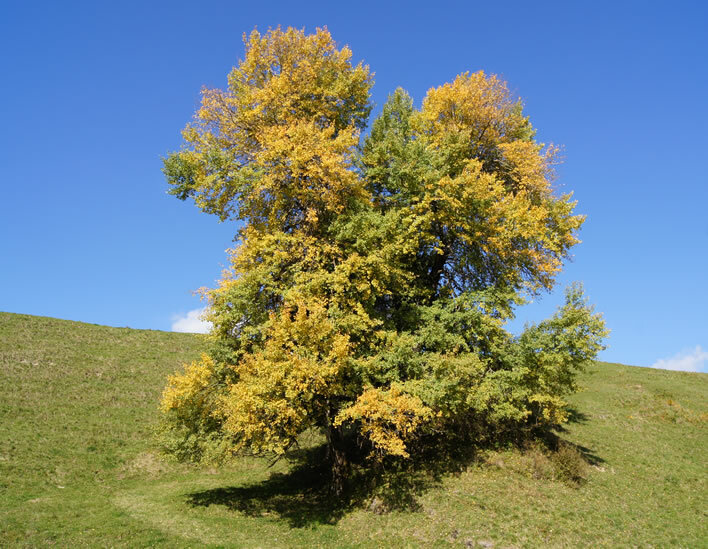 We could consider the roots to be the real aspen – a cluster can live for thousands of years – whereas the trees are simply shoots that each pop up for one or two centuries. We human mayflies flutter past, take a photo or two, then go on our way to oblivion, leaving the colony to its seasons: its sun, wind, rain, ice and snow. 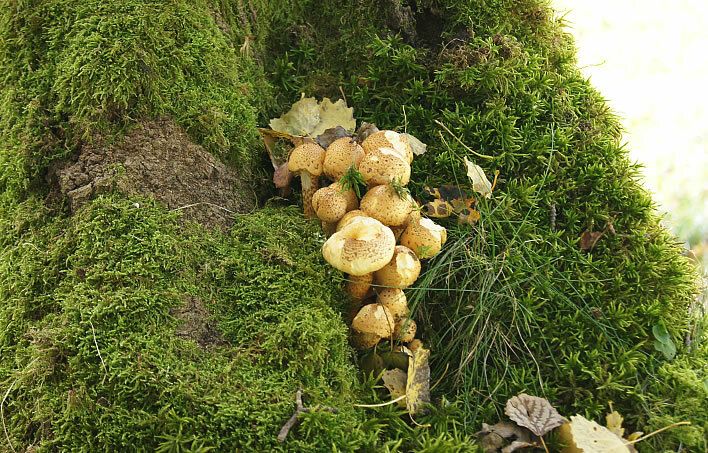 Aspen offer a rich habitat for many species of plant and animal, most obviously here, for example, fungi. On reflection, the root colony of the aspen and the mycelial structures from which fungi arise share many superficial properties. It's easy to spot British people in Switzerland: in any pub, restaurant or party they are the ones staring miserably at the little glass of pale yellow fluid in front of them, cradling it in their hands waiting for it to warm up to drinking temperature. The Swiss word for this drink is misleading: Bier. The English word cannot be repeated on a family blog. At last there is a remedy – at least for those blessed people living in Graubünden: Real ale and beer from the Ilanz Brewery. This is the stuff that will put hairs on even the most gender unspecific chest. Top left: Ilanz Ale, a straightforward pub pint; top centre: Ilanz IPA (India Pale Ale, a memory of the once-great Bass India Pale Ale, the one with the red triangle); top right: Ilanz ESB (Extra Special Bitter), for cultivated taste-buds; bottom left: Ilanz Stout, for the liquid lunch specialists – contains every vitamin known to man and then some; bottom centre: Ilanz Imperial IPA, an IPA with a flavour bomb; bottom right: Ilanz Imperial Stout– perfect for the glass after the standard stout. Many may aspire to this stout, few succeed. Best to work your way up to it –per ardua ad astra, what? 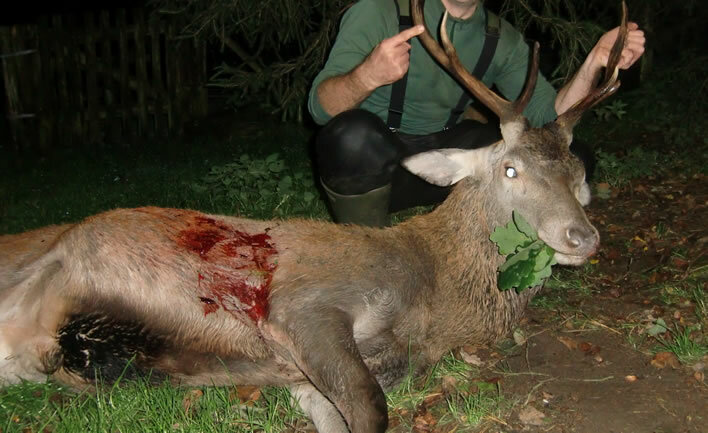 A fine male red deer, cleanly shot in northern Germany on 7 October this year. Following an old tradition, a bunch of leaves is put into the mouth of the dead animal, the hunter puts a leaf dipped in the blood of the animal in his hat and any tracking dogs involved get a sprig in their collars. If you consider this swift end barbaric, you should also reflect on the 'natural' end this animal could look forward to in the wild: starvation, disease and pitiless predation. Nature only offers some combination of these three. 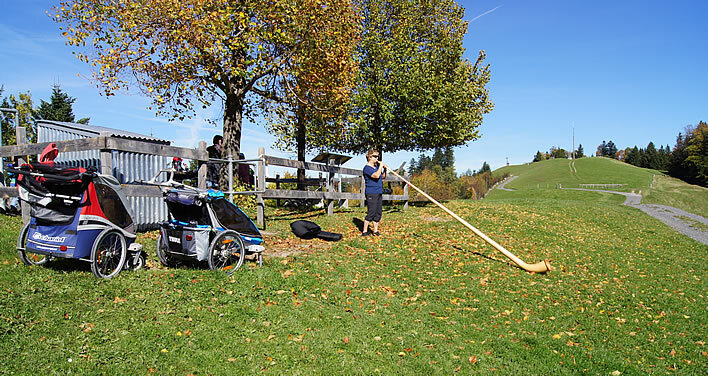 No Swiss family picnic on a hilltop is complete without alphorn music. This lady has been learning for two years. She was emitting impressive wooohs that could be heard several kilometres away down in the valley. 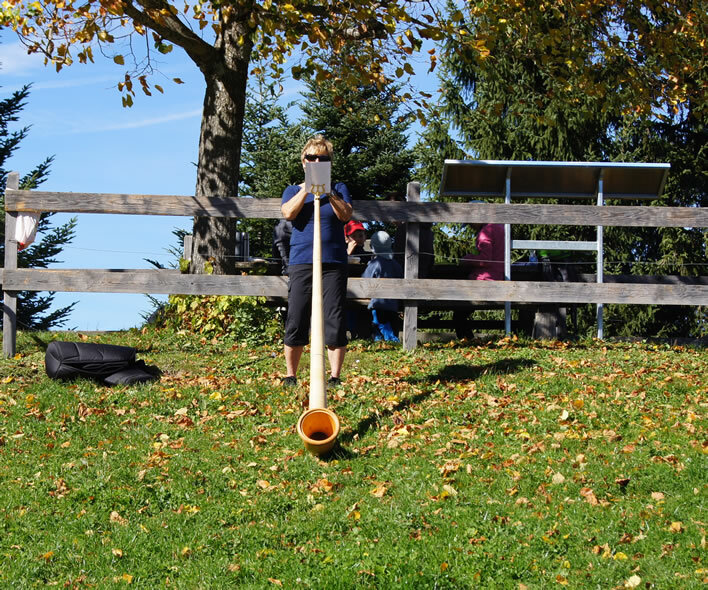 At that moment, she said, her husband was blowing up a storm on his alphorn in the square in front of the monastery. 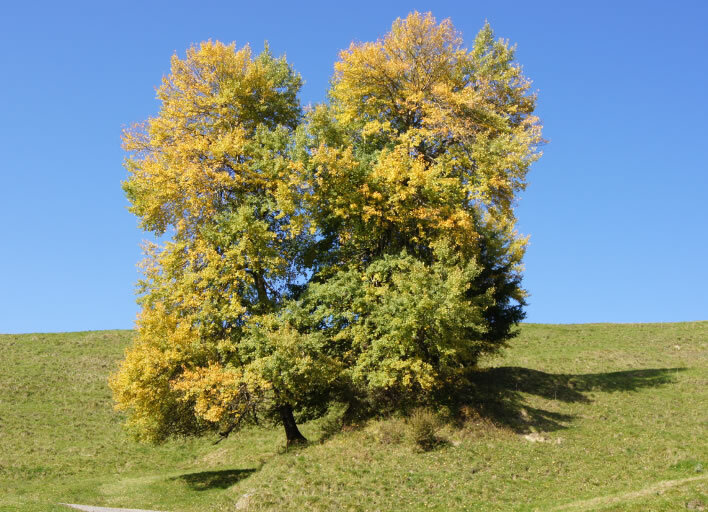 Switzerland – God's own country! The shooting massacre in Las Vegas on 2 October has revealed one certainty, whatever later investigations may reveal: one determined, well-organized and suicidal individual can massacre large numbers of innocents, almost at will. The corollary, which we tire of repeating, is that no government can protect you from such an attack: you are on your own. The civilised nations have been very lucky so far. Most Islamic terrorist attacks in recent years have been perpetrated by dimwits, or those off their heads on drugs, or both, who are prepared to die for the brief pleasure of stabbing a couple of people who happen to be in their vicinity before – we hope – a robocop arrives and dispatches the attacker. A few get lucky and kill more. Let's give thanks for the endemic stupidity of most Islamists and hope it stays that way. We also should realise that the Mandalay Bay hotel will now be sued over its lax attention to its homicidal guests and possibly even be put out of business. Hotels around the world will face greater regulation as a result; the authority of the 'do not disturb' sign has been seriously devalued. Let's see what happens with multi-storey car-parks and all the other elevated potential vantage-points around public places after the lawyers have finished with the Mandalay Bay. Let's see what is done about the midnight fireworks celebrations around the world at New Year. The security game is called Catch-Up. After each atrocity we exclaim: 'Who could have imagined that?' Quite. The Rampion wind farm was built in the English Channel offshore from the South Downs National Park in West Sussex, England. The video below shows the damage that has been done to the countryside by the cable laying. In time, nature recovers, but this level of environmental damage seems unacceptable – unless, that is, you are a true anti-emissions fanatic. The various bodies responsible for the windfarm say it's all a fuss about nothing. This is a drone tour above ground, where the damage is bad enough. However, if you could take an undersea tour and see just what had been done to the seabed to connect the individual turbines and bring the power ashore you would really be shocked. But, as we know, out of sight, out of mind. *Updated. The initial title caused some hilarity among our coarser readers.